Hello, and welcome to the second post in the Scrapped Content Showcase! This week we will be focusing on what was once known as the Interim Elections. What were the Interim Elections, you may ask? 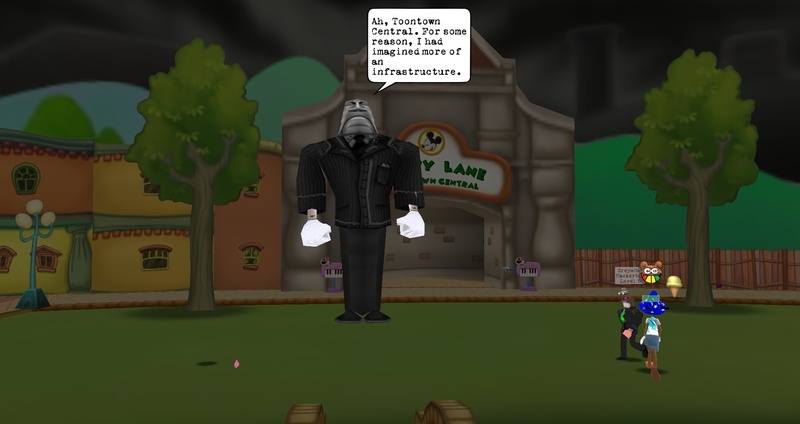 The Interim Elections were an event similar to Toontown Rewritten's Elections. Toons would've been guided through new zones, cutscenes would play, goals would be given to the Toons, and more. 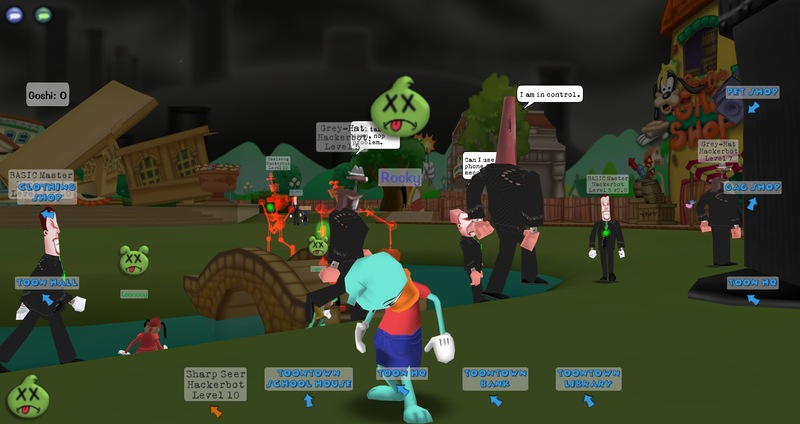 There were several different "parts" of the Interim Elections, and Toons were intended to move together as a group of 8 similar to a massive Boss Battle. Development of the Interim Elections began in July of 2015. 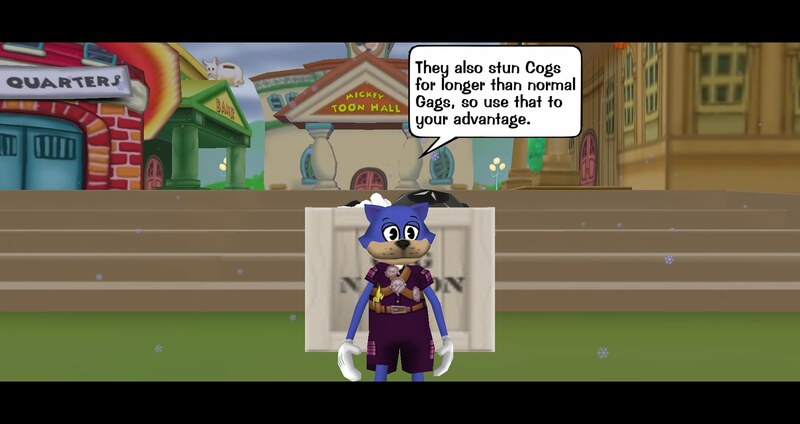 This update was originally going to be named "Cog Gear" in lieu of what was once going to be a different Toontown Offline update, but never came to be. Development lasted until December, until the team decided to disband and cease working on the entire game altogether. Before the changes we announced last month, our storyline was based off of the Toontown Rewritten storyline. The general idea for the Interim Elections was to elect an Interim President for the Toon Council while Slappy was still out there, waiting to be found. The two candidates were Flippy and Lil' Oldman. Today we will be discussing the first part of this event- the actual Election itself. During the counting of the votes, the voting machines would slowly come to a halt as a Legal Eagle v2.0 entered the playground through Loopy Lane. Flippy would defeat this Cog, and then credits would play. These credits act as a fake out and would quickly fade away, showing the Legal Eagle turn into a Skelecog form. 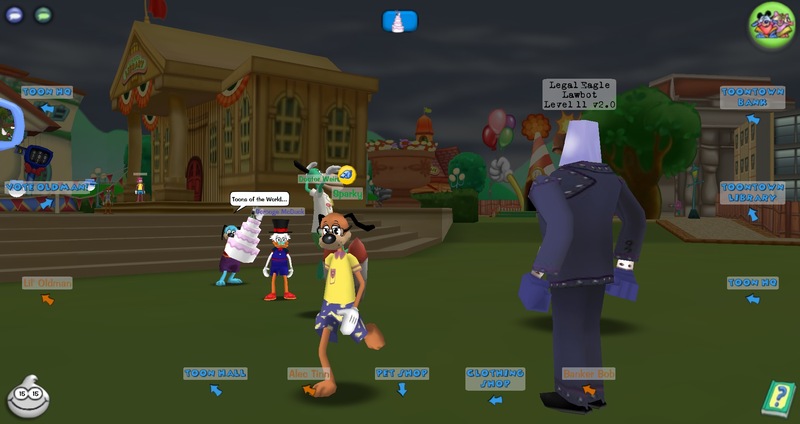 Flippy would then go sad due to the Eagle, and a second "Doomsday" would happen as the Cogs take over the playground like in Toontown Rewritten's Elections. Many tweaks were made to make this invasion a bit more unique than the first one. For one, there were different mixes of Cogs. You would see normal Cogs, Virtual Cogs, v2.0 Cogs, and more. This was also an introduction to a new Cog type, the Hackerbots. Hackerbots had double the health of normal Cogs. We also gave some of the Cogs unique attacks similar to how the Mover & Shaker has a unique real-time attack. Over the course of the invasion, the buildings in Toontown Central would get destroyed and the town would become a wreck. After a few waves, the Chairman would come down and make all the Toons go sad. Take a look at some screenshots and a video of the Interim Election. Why were the Interim Elections scrapped? We have many reasons for this, but perhaps the main one is due to the low quality of content. Lots of what we made was poorly developed, both code-wise and art-wise. We didn't have the large team and higher levels of talent that we have today. Upon reflection over the years, we know we can do better and would rather not release sub-par content to the community. In the future Scrapped Content Showcases, you will see how visible the lack of quality is. Don't get us wrong- we still enjoyed making what we had of the Interim Elections and the content isn't nessecarily bad. It's simply not what we wish to release today. Will I ever be able to play the Interim Elections? Yes! In the future, we will release a copy of the game with what we had done for the Interim Elections. We will make an official announcement when we get closer to releasing this. After the Toons go sad in the Election part of the Interim Elections, they get sent to the Cog Nation Sewers. What did that entail exactly? Next week we will talk about the one of the Sewer parts in the Interim Elections and the shenanigans that occur there! Until then, I hope you enjoyed today's post and I look forward to talking about the Sewers next week. Have a good one all!